Couldn’t work out why this is so frustrating for me but doesn’t seem to bother anyone else here. Then as I wobbled back home through the slush and the blowing flakes tonight I realised. List of wants. 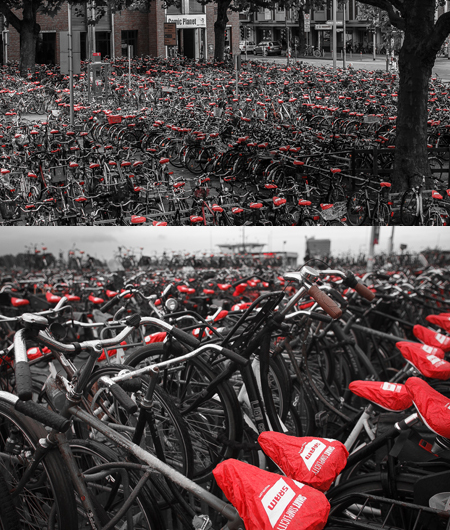 Dry bum, dry feet, warm face, stable road surfaces……..and more covered bike sheds in Belgium. 30 years of work. 3 years as a student. 7 years cycling to school. 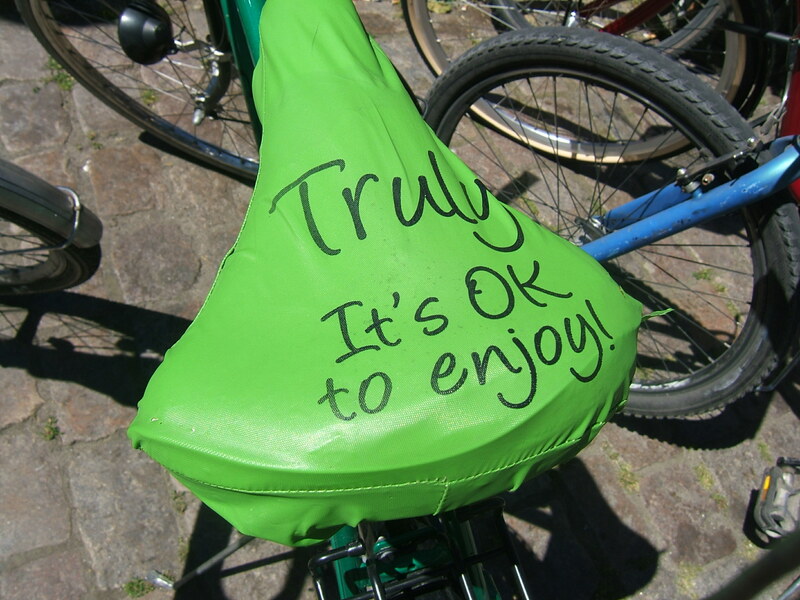 Not once have I travelled anywhere where I had to leave my bike outside daily. The dear old UK might be Europe’s cycling dunce but I must have struck lucky with our legacy of bike sheds, some of them probably dating back to the 1960s or even earlier in the case of at least one factory bike shed I can recall. 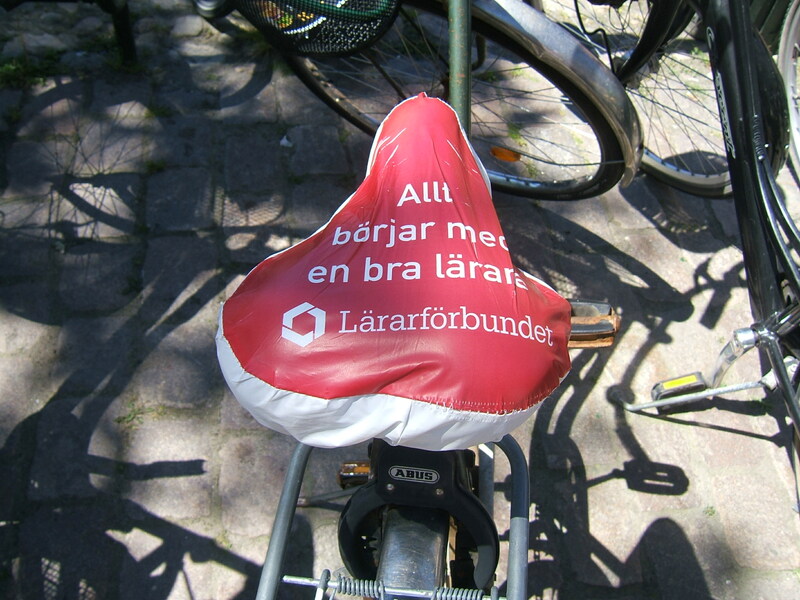 I mean those saddle covers I see at the bike parks are awfully naff, but now I know why they are so popular everywhere else in Europe and its not just for advertising SRAM. 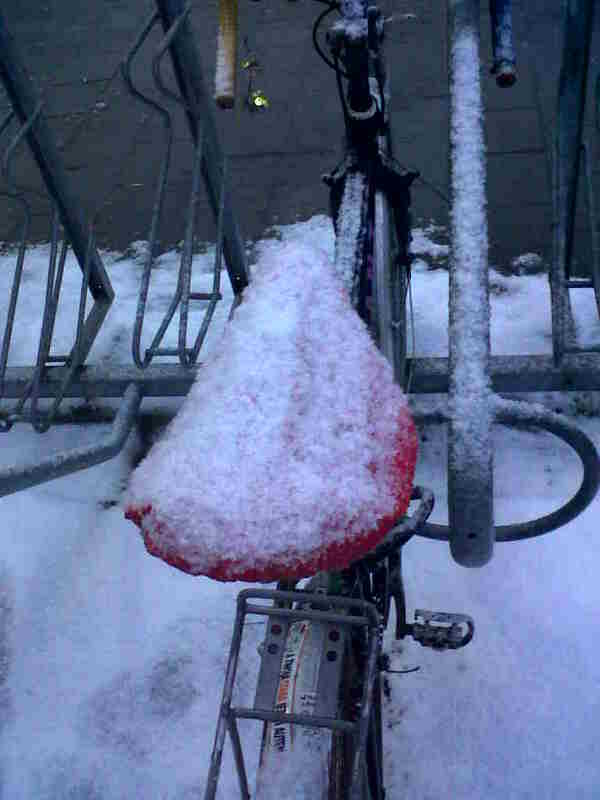 This entry was posted in Bikes, Life in Belgium, Musings, Rants and tagged Belgium, Bike Shed, cycling, snow by kevinmayne. Bookmark the permalink. 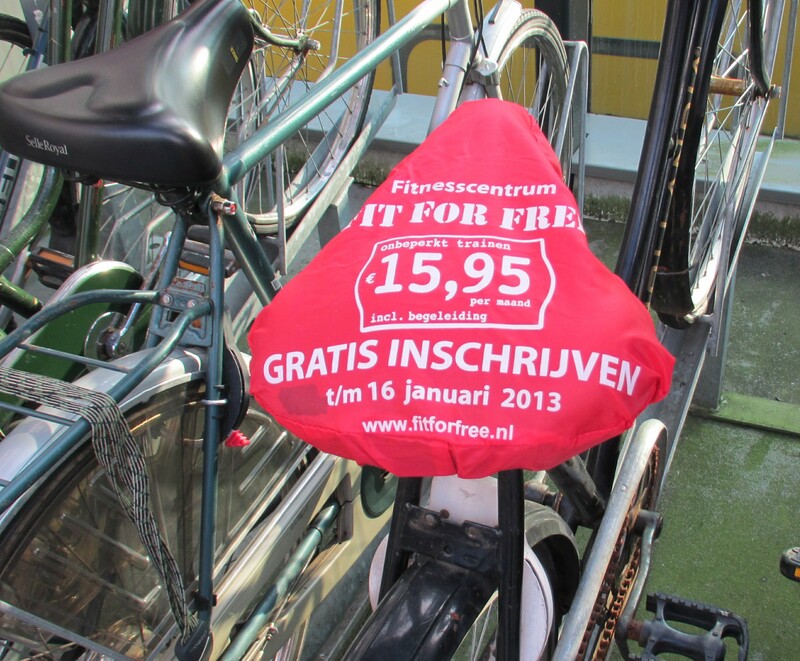 I tried without success to purchase one in Belgium – I thought it a better option over my leather saddle when parking on wet days as opposed to the Tesco carrier bag. I have a number of freebies from various campaigns. Hot tip is the give away shower caps that you get in some hotels!